Unit Editions’ book Type Only documents graphic design – from the late 1990s to the present – that primarily uses typography to illustrate and communicate ideas, writes Sarah Snaith. 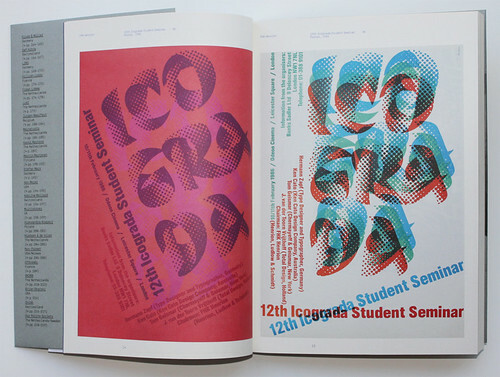 F. H. K. Henrion, two posters for the twelfth Icograda student seminar (UK), 1986, which uses the typeface Calypso. Arthur Reinders Folmer, ‘Grid Fairy Tales’ artwork for lasercut wood panel, 2011 (left), and the poster ‘Typographic Noise’, 2010 (right). 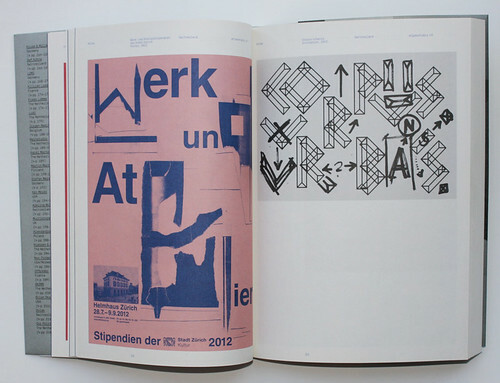 Atlas, ‘Werk-und Atelierstipendien de Stadt Zürich’ poster, 2012 (left) and ‘Corpus Urbanis’ invitation, 2012 (right). 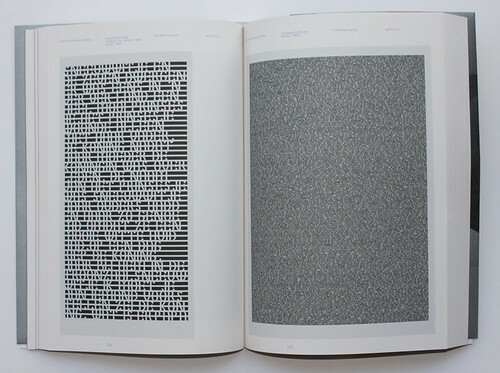 The shifts that came about after the digital revolution demonstrate experimental ebbs and flows towards and away from legibility, form and the expression of ideas using strictly typographic devices. Posters which stand out in the large-format book (appropriately wrapped in a typographic poster) are the monochromatic Giacometti flyer (2012) by Spin’s Claudia Klat as well as Arthur Reinders Folmer’s lasercut panel (2011) and ‘Typographic Noise’ poster (2010). More colourful highlights are ‘Metronomy: Radio Ladio’ poster (2010) by Côme de Bouchony, and Atlas’s ‘Werk-und Atelierstipendien de Stadt Zürich’ poster (2012). 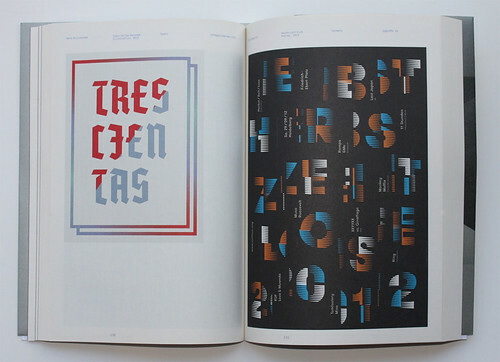 Rafa Giocoechea, ‘Trescientas Razones’ illustration, 2012 (left), and Götz Gramlich, ‘Herbstzeitlose poster’, 2012 (right), also featured in ‘Type specific’ in Eye 86. 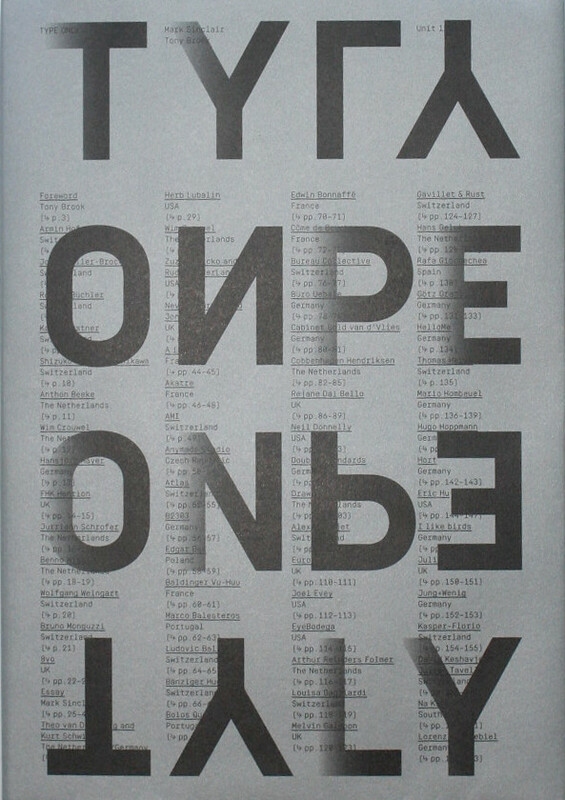 The more surprising trends that surface in the book come from the mid- and late-2000s, where a return to an early-digital aesthetic can be seen in posters such as Martin Woodtli’s ‘VideoEx’ and Vier5’s poster for École des Beaux-Arts, both from 2008, as well as Tom Pregiato’s Anenon: Are You For Real (2011), among others. See ‘Reputations: Tony Brook’ in Eye 86, ‘The magazine as laboratory bench’ in Eye 12 and ‘Type space’ in Eye 78. 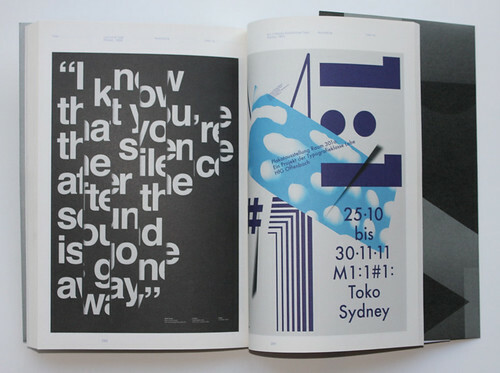 Toko, Lyric & Type poster, 2010 (left), and M1:1 poster exhibition poster, 2011 (right).